Rag Ball Tree Ornament Tutorial - So Easy, So Cute! 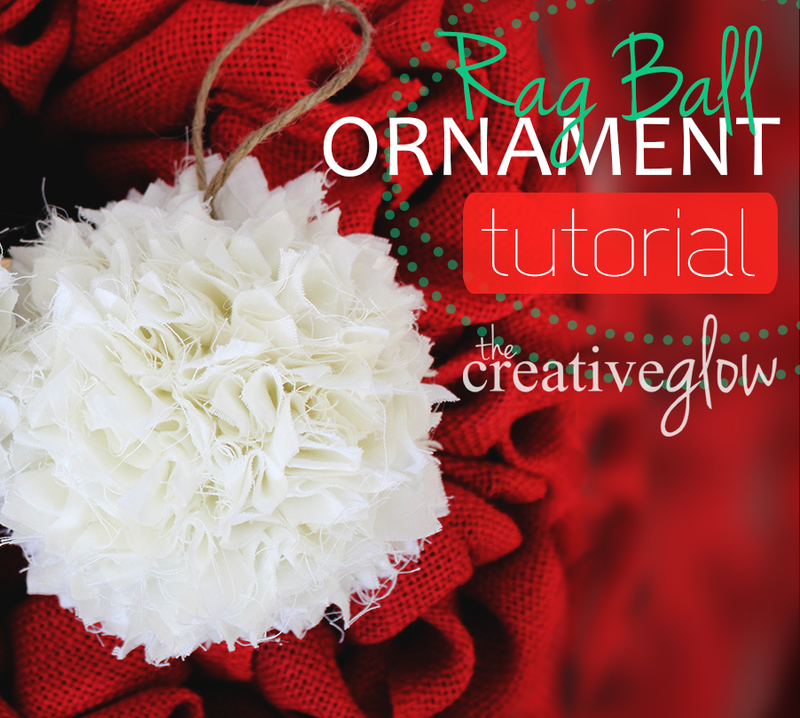 | The Creative Glow: Rag Ball Tree Ornament Tutorial - So Easy, So Cute! Heya! Well, I’ve got yet another tutorial for all you Christmas spirited crafty peeps out thay-a! Next week I’m planning on getting into some Holiday beauty stuff, so if you’re looking for that, it’s a comin’! Don’t worry! What I’ve got fer y’all today is how to go about making this really easy Rag Ball Tree Ornament. These are so eeee-zzzzz! There’s nothing to ‘em and it takes very little supplies! You can find a list of those supplies just below. And just below the video you’ll find some extra tips for this project! - If you have scrap fabric in Christmas colors or patterns you could use those instead. They’ll no longer look like fluffy snowballs, but still pretty darn cute! - Thinner material works better.